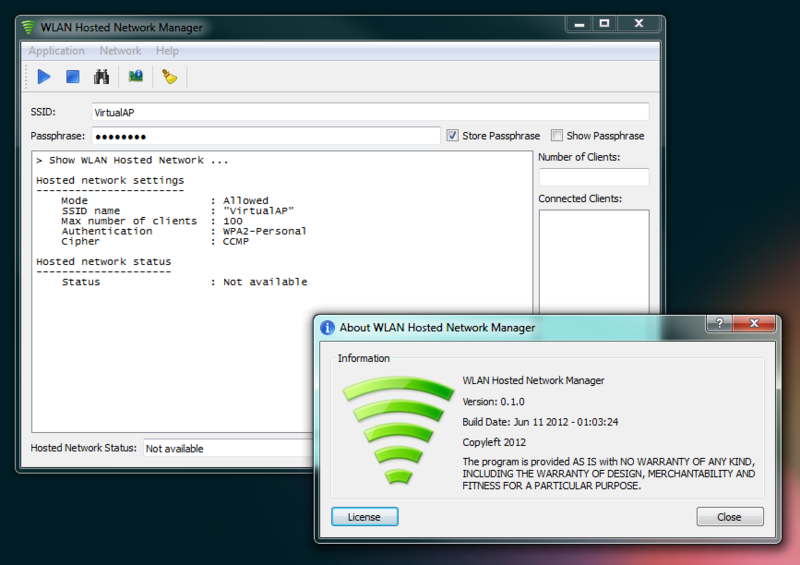 WLAN Hosted Network Manager is a GUI application for managing (creating/starting/stopping) a WLAN hostednetwork also known as Virtual WiFi Network. This application executes netsh commands available in Windows 7/8/10 to create a Virtual Wireless Network. – Wireless Network Adapter with hostednetwork support. Wooooow. Works great! Thank you!!! Brilliant…Works flawlessly on Windows 10!